Acupuncture is one of the famous Chinese healing therapies, based on the theories of oriental medicine (Traditional Chinese medicine). According to it, there are energy pathways that circulate through out the body known as “meridian”. In a healthy state of a person the energy flows freely without any hindrance and the blockage or obstruction to free flowing of the energy leads to disease conditions. The acupuncture specialist stimulates the meridian points and release the blockage of energy by piercing sterile, hair-thin needles on the key pressure points(similar to acupressure). 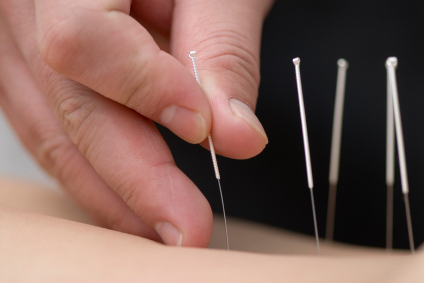 The insertion and manipulation of needles at acupuncture points present on the skin stimulates body’s own healing ability to restore the normal functioning of body organs and provide overall wellness. Most of the people do not feel pain or discomfort with needle insertion however the experiences differ with individuals. Acupuncture treatment is relatively safe if the treatment is given by experience licensed acupuncturist.